In 2018 Clinical Playground players enjoyed a productive year traveling for presentations, seminars and workshops shore-to-shore and internationally from the Caribbean to Europe, and even China. Between trips, Clinical Playground founder and managing member Dr. Eric B. Bauman experienced the pleasure and honor of working with talented colleagues on projects, some of which received industry and academic recognition. While in Los Angeles, CA for the 2018 International Meeting for Simulation in Healthcare Dr. Bauman was presented with the Leadership Award for Serious Games and Virtual Environments for his numerous contributions to the field of healthcare simulation. 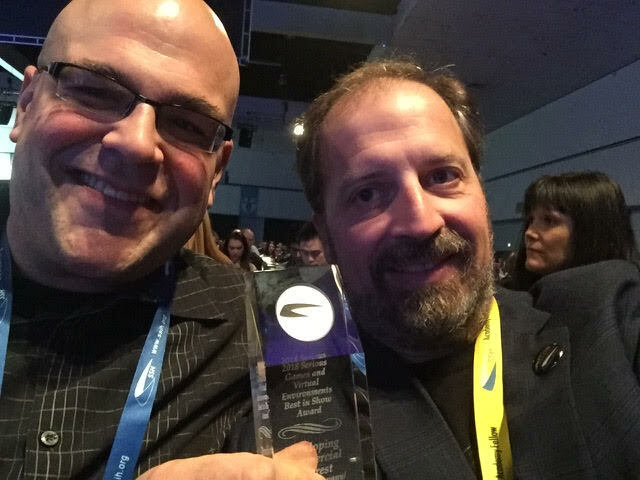 In addition, a virtual reality project that Dr. Bauman worked on with numerous colleagues and institutions including Jon Brouchoud from Arch Virtual won the Serious Games and Virtual Environments Best-in-Show Award. In addition, Saving Lives! 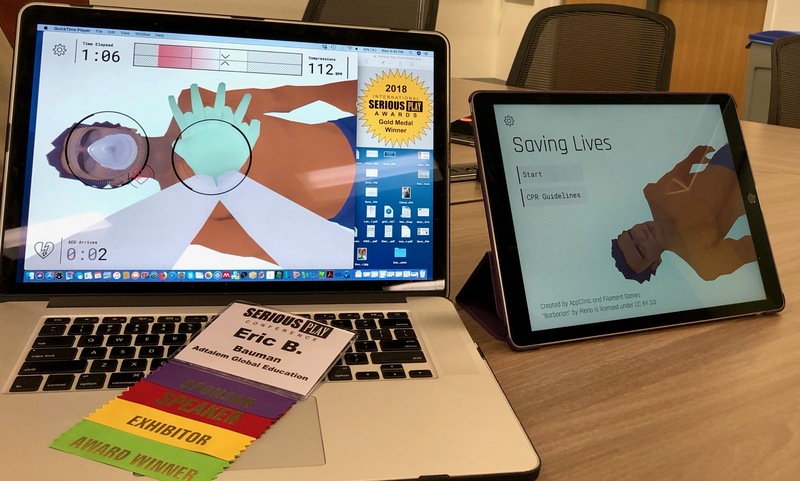 a mobile game-based application focusing on CPR training and skill development received three honors in 2018. The game won a Gold Medal at the 2018 International Serious Play challenge. Saving Lives! was also a four-category finalist in the 2018 I-ITSEC Serious Games Arcade held as part of the I-ITSEC conference in Orlando, Florida. 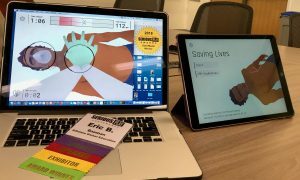 The game was also presented at the 2018 Association Medical Educators Europe Conference in Basel, Switzerland. Dr. Eric B. Bauman traveled to China at the invitation of the Wu Jieping Medical Foundation where he spoke on several panels disusing innovation for medical and health professions education in Zhongshan China on November 14-18. 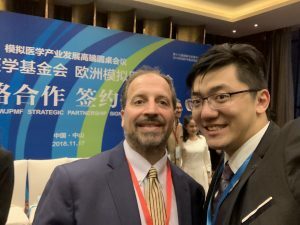 Bauman toured Chinese healthcare facilities with Dr. Mickey Chopra, Medical Director for the World Bank and discussed the use of virtual reality for healthcare education with several colleagues from the Society for Simulation in Europe Applied to Medicine (SESAM). 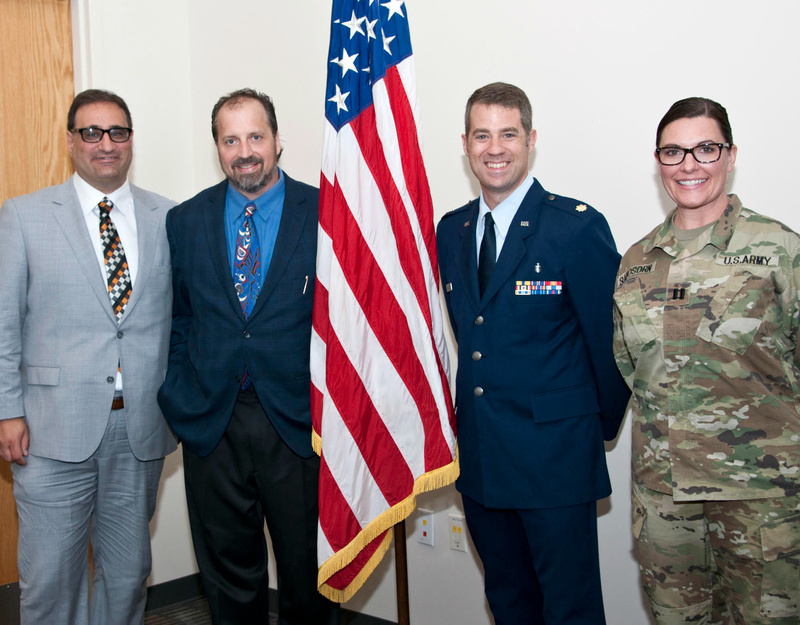 Dr. Bauman participated in a roundtable forum titled Innovation, Healthcare, and Industrialization. Roundtable speakers included Dr. Peter Agre – 2003 Nobel Laureate for Chemistry from Johns Hopkins and Dr. Mickey Chopra of the World Bank and participated in a panel discussion about the importance of simulation as a best practices tool for healthcare education. Clinical Playground players and collaborators stayed busy throughout 2018. Dr. Gregory E. Gilbert added nine new peer-reviewed publications to his already impressive curriculum vitae. In addition, Dr. Gilbert facilitated and collaborated on nine academic and professional development presentations. Dr. Eric B. Bauman added two book chapters to his curriculum vitae and gave 18 presentations throughout 2018 on such topics as game-based learning and virtual reality/augmented reality for health professions education. Dr. Eric B. Bauman and colleagues Steve Chepp and Katie Stull were named to the interim executive committee for the Wisconsin Games Alliance. 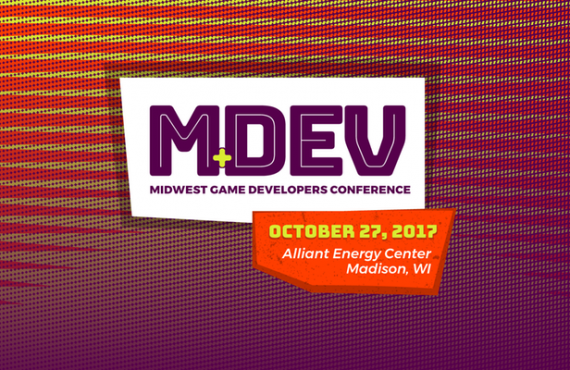 The WGA is a Wisconsin network of game studios, independent developers, faculty, investors, and regional economic development agencies with the shared mission to promote Wisconsin as a premier location for game development and design.